Family medicine departments, residencies, chapters, or other academic units can apply to be Sponsors of the American Board of Family Medicine Performance Improvement credit. The new Precepting Performance Improvement Program allows Sponsors to offer Performance Improvement credit to family physicians who teach medical students or residents and who participate in a teaching improvement activity. Congratulations to the newly elected officers of the 2019-2020 STFM Board of Directors. What has Family Medicine for America's Health been working on these past 4 years? Find out through this interactive presentation. STFM would like to thank Jerry Kruse, MD, MSPH, for his commitment to advancing this initiative and serving as the STFM representative on the FMAHealth board. The process of teaching an experienced faculty learner is unique. Read about the approaches both the learner and faculty should take to learn a skill and maintain a healthy peer relationship. 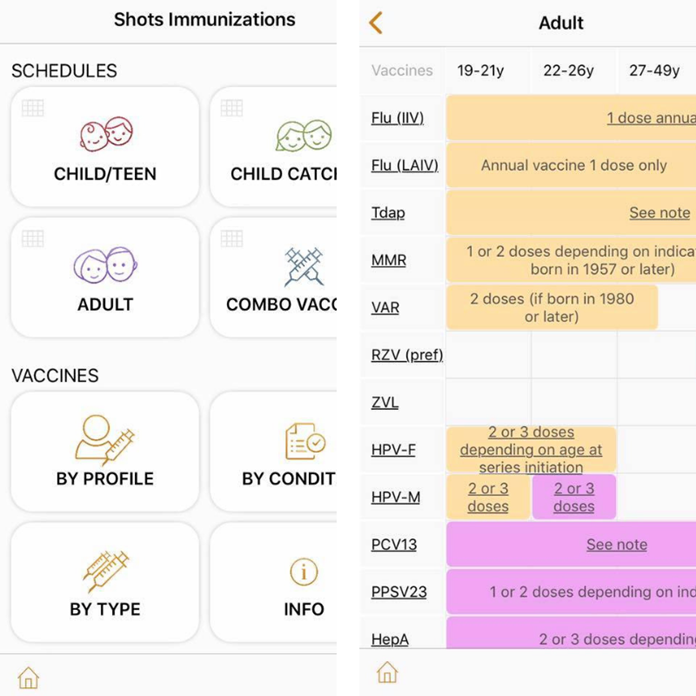 Access easy-to-use, up-to-date vaccine information at the point of care with the updated Shots Immunizations app developed by the American Academy of Family Physicians and Society of Teachers of Family Medicine. Don't miss your chance to indulge at the Annual Spring Conference! All funds raised from the session Sweet Mindfulness: A Chocolate Tasting support the Foundation's programs. Sign up for the session when registering for the conference ($75 per attendee). Already registered? Call 800-274-7928 to sign up for the session.